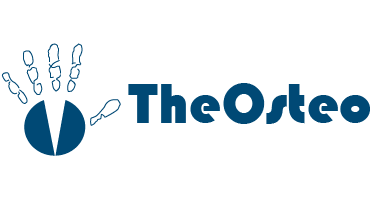 How we treat, handle and protect your data at TheOsteo Clinic? Is sharing it with others without your permission. In order to provide treatment only relevant and necessary detailed medical information is taken such as your medication, treatment and other issues that affect your health. The Osteopaths that belong to the clinic and provide treatment for you are responsible your data. Your data is always held securely within the United Kingdom, and only by Osteopaths attached to the clinic who are treating you. To process and store your data we must have your explicit consent. Contact details provided by you such as telephone numbers, email addresses, postal addresses may be used directly by us (only) to directly contact you in case there is need to discuss your treatment or a future appointment. If we ever need to share your medical records with other health care professional for referral or legal reasons we will always inform you first unless legally denied. Your data is never shared with anyone not involved in your treatment unless legally obliged. We never sell or broker your data. The general rules include: data is stored for 8 years then it can be destroyed, it is your right to request access to data stored, and your right to request any data be removed by contacting the clinic either by phone or by email – PLEASE NOTE PHOTO IDENTIFICATION AND A STANDARD SUPPORTING DOCUMENT WILL BE REQUIRED TO ACCESS WHAT DATA IS HELD. In the event that we have to refuse your request under rights of access, we will provide you with a reason as to why, which you have the right to legally challenge. At your request we can confirm what information it holds about you and how it is processed.